The new 2013 AP Chemistry Framework and its 2014 Exam asked students to solve problems by de-emphasizing factual recall/memorization and practicing inquiry/reasoning. Recent studies in cognitive science have proven that those strategies simply do not work for students in first-year college-level science courses. The result was a 2014 AP Chemistry Exam in which 73% of students received a 3 or below. Directing students to use problem-solving methods that science has proven do not work was profoundly unfair to students and their instructors. The College Board (CB) is evaluating the 2013/14 changes to the AP Chemistry program over the next several months. Below are findings from cognitive research that during that review hopefully they may consider. Limiting content but improving understanding. Applying knowledge to new contexts. 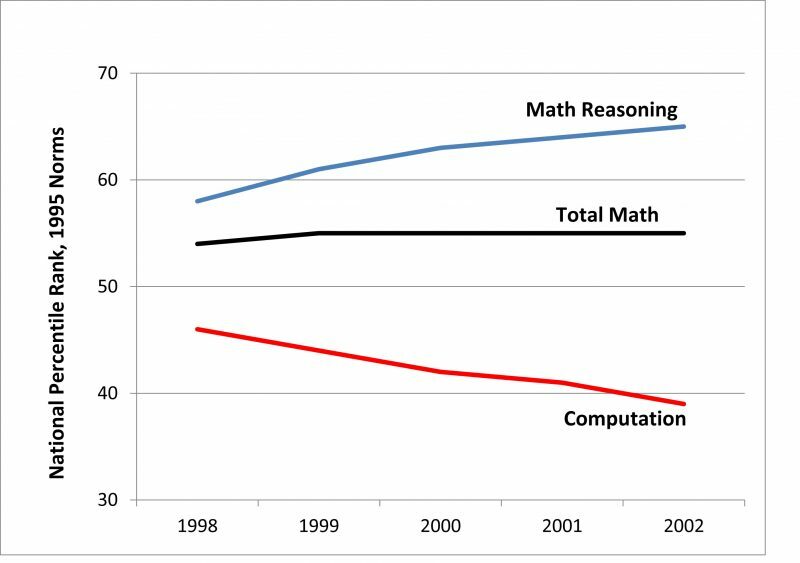 Over the past 4 years, researchers in cognitive science (the field of how the brain works and how it learns) have agreed on recommendations for how students can best be taught to solve problems in math and the physical sciences. Unfortunately, in 3 of the 4 areas above, the AP Curriculum Framework gives direction that is the opposite of the recommendations of cognitive science. Going forward, to be in agreement with science’s understanding of how the brain solves problems, the AP Chemistry Framework will need to change. Let’s examine the “reforms” above one at a time. 1. The new AP framework (p. 8) calls for “balancing breadth of content coverage with depth of understanding.” Cognitive research supports this finding. During initial learning, the primary goal is to increase knowledge in a student’s long-term memory (LTM). To build LTM requires repeated practice spaced over multiple days. If students are asked to learn too much new information at once, they tend to “cram” and learning does not “stick.” Limiting, mastering, and focusing on the connotations of new content is change consistent with cognitive science. 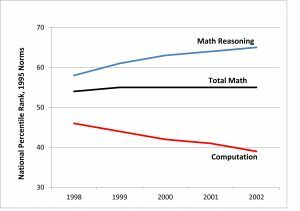 Cognitive scientists are in agreement that students must devote years to moving facts and problem solving algorithms into memory before that can “reason conceptually” in the way experts in science can do. In pre-graduate-school math and science, students must be able to recall, quickly and automatically from LTM, nearly all of the facts and algorithms needed to solve a problem. This is because working memory (WM), where the brain solves problems, can “conceptually reason” with essentially all information recallable from LTM, but with very limited amounts of non-memorized knowledge. At this link, on pages 8-12, leading cognitive scientists document these findings. As of 2014, the strengths and weaknesses of working memory, among scientists who study how the brain solves problems, are undisputed facts. In disparaging factual recall, the College Board was advising students based on outdated understandings no longer in agreement with what experts in how the brain works say is true. In the book Make It Stick and articles by Daniel Willingham (see the Read Recs tab above), researchers in cognition advise instructors on ways to help students gradually construct both memory and understanding. For AP teachers, the message from cognitive science is that memorization is even more important than we thought. 3. The AP framework advises instructors and students to “spend more time on inquiry-based learning.” The website’s “AP Science Inquiry Statement” (4/21/11) advocates both “guided” and “open inquiry” using “student-designed procedures.” The first three pages of the Clark summary document the overwhelming evidence that for the learning of new content to be efficient, students need to be clearly informed of what experts over centuries have found to be true. These studies show that “Open inquiry,” in which students’ formulate their own questions and study procedures, is particularly inefficient. That said, as the Clark authors note, guided inquiry can be a way to practice the application of newly acquired knowledge. In addition, inquiry can “prepare students for learning,” spark curiosity, and foster essential motivation. To the extent that explaining and committing content to memory can be done during study time, cognitive studies indicate that inquiry guided by instructors can be a good use of class time. Again, these research conclusions are likely not surprising to AP instructors. 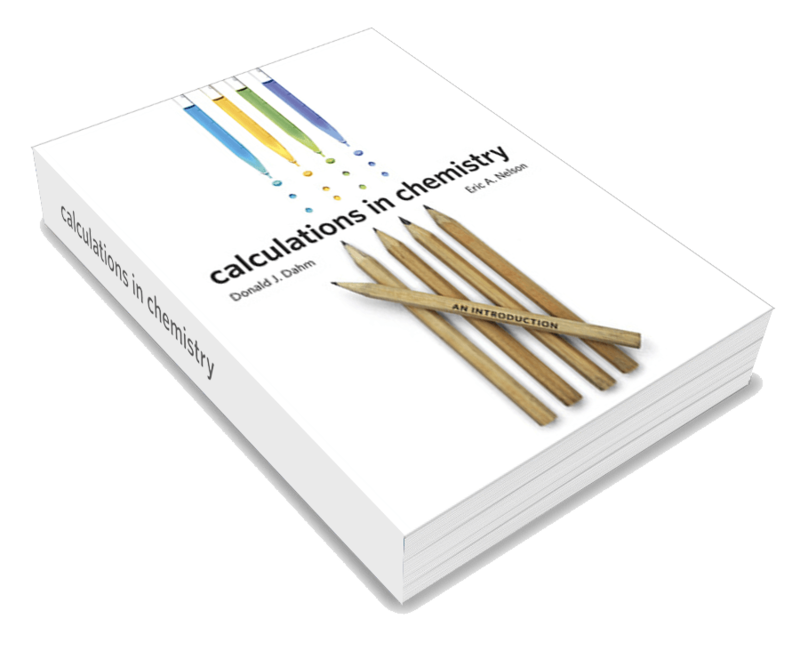 The redesigned AP Chemistry Exam questions each require students to go beyond factual recall and calculations …, demonstrate a clear understanding … and apply that understanding to new scenarios, just as they will be required to do in science majors and careers. How well students can transfer facts and procedures to new situations has been found to be dependent on the number of elements of a situation that are familiar in memory. That expert knowledge takes years of study to acquire (Clark, p. 9-11). “Far transfer” is a key skill for professionals, but to find employment in chemistry generally requires at least 30 college chemistry credits, not 8. If we push students to use strategies which do not fit what their brain at that point can do, many aspiring science students will be handicapped, discouraged, and frustrated (Clark, p. 8). The percentage of students scoring 4 or 5 was 40.4% in 2013 but 26.7% in 2014: 73% this year were given scores of 3 or below. Do the 2014 scores, for an academically select group with special interest in chemistry, indicate a fair test of what students should be able to do? NSF data show that the percentage of U. S. college graduates who received bachelor’s degrees in chemistry fell from 1.61% in 1969 to 1.07% in 1990 to 0.74% in 2010. That’s a 54% decline since 1969, a serious concern for our nation. Will the 2014 AP results encourage more students to major in chemistry? Five years ago, when CB leaders first proposed these reforms, many educational philosophies proposed that students could be spared the hard work of memorization if they instead learned reasoning skills. Those proposals were well-intended, but science is about what is true. Those who study the brain scientifically have proven that those hopes were wishful thinking. As a result of new measurements of working memory, many past learning theories are being re-examined. Cognitive science says that students can learn to solve problems by inquiry the way an expert can, but it requires constructing the memory of a scientist, which takes many years of effort. Some without credentials in cognitive science continue to advocate for their philosophies, but in making decisions that decide the welfare of young people, the findings of experts in a scientific domain must prevail over beliefs. For our best high school students, seeking to learn chemistry, willing to take a demanding AP course, the CB has given 73% of those students a 3 or below – what the world calls a C or below – because students could not learn in one course what science has proven takes years of intense study. That is profoundly unfair. The CB is using its Curriculum Framework and exam to pressure teachers to teach in a certain way. The methods the CB is pressuring teachers to use cognitive science has found do not work. But the cognitive science findings are recent, and the CB deserves the opportunity to make this right. An easy way to do so is for the CB to reverse its decision to tell teachers how to teach. Until 2014, the College Board provided a fair test of the range of problems that students can be taught to solve in a first course in college chemistry. That rigorous external standard motivated instructors to find ways to improve achievement. To return to providing such a test would continue the College Board’s substantial heritage of service to students, instructors, and the nation.